The first ever celebration of Fathers’ Day was in honour of the men killed in the Monongah Mining Disaster in December 1907. A huge explosion and collapse in a mine near to where Clayton lived, killing around 360 men and leaving more than 1,000 children without fathers. It was popularized by Grace Clayton, who is thought to have been inspired to start the holiday after the success of Mother's Day. Observed on the third Sunday of June, observance of Fathers’ Day varies in different countries. 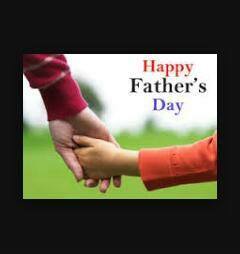 Father's Day is celebrated on third Sunday of June every year and this year it falls on 21st day of the month. While children celebrate this day to honours their dads by sending them wishes and gifts, elders take the opportunity to focus on the importance of parental bonding and fatherhood. Even celebrities don't forget to take some time out from their busy schedule to spend with their children. Several of them, including Brad Pitt, Chris Brown and David Beckham, have shared their thoughts about parenthood with the fans.